For those of you who have followed my blogging journey, you know that I started writing blog entries in 2008 (tucked away safely in a file on my computer, for nobody else to see! ), a full 6 years before I created this blog right here. In my early years as a stay-at-home mom, writing gave me an outlet to process through all of the emotions, challenges, and insights that parenting presented. I’m so glad I documented this particular journey below–it was profound for me, and I see so many parents struggling with similar concerns and challenges. In honor of Mother’s Day, I share this piece with you. Wherever you are in your journey as a parent or a child, I acknowledge your greatness as you navigate the waters of the parent-child relationship, and I challenge you to embrace and trust your own instincts and understanding. Where can you fully step into your own Mom-ness? (or Dad-ness, or Son-ness, etc.) This post is dedicated to all the moms who have navigated the waters with me, especially to Daphnee, Danielle, and Lauri…not sure I would have made it through the first 5 years of motherhood without you girls! I am a Mom. It’s my full-time job right now, probably the most important job of my life, and also the one where I had the least amount of training beforehand. I didn’t grow up with little sisters or brothers, and I couldn’t wait until I could stop babysitting and get a “real” job. I just wasn’t someone who gravitated towards kids. I spent most of my pregnancy reading books that explained what was going on in my body, and with my baby, and what would need to happen in order to separate the baby from my body. After Dylan’s birth, I spent much of my first year as a Mom consuming books and videos designed to teach me how to parent. I read books about sleep habits and routines, and watched movies about soothing fussy babies. I learned about attachment parenting, mindful parenting, and Ferberizing. I read books by Zen masters, and books by movie stars. I spent more time trying to learn from others than I did listening to myself & my own instincts. My son is now 2 years & 2 months old. Fortunately, I’m in a position where I can stay home with him. After spending the better part of every day for 2 years with the same little human, you’d think I’d be confident that I know what’s best for him, and that I would trust my own abilities and decisions as a mother. The thing is, although I no longer consume parenting manuals like it’s my job, I often look at choices that I’ve made that truly seem like the best & most appropriate choice for our family, and I second-guess myself. I have friends, family & acquaintances from all different backgrounds, so I interact with people who have different belief systems and different parenting styles. In some circles, I feel guilty about not cloth diapering and not co-sleeping. In other circles, I’m the odd one out for breastfeeding and buying organic baby food. Having such a diverse blend of people in my life gives me ample opportunity to doubt my own parenting methods. However, as often occurs on this journey of parenting, I had a revelation today. I started to look at my child from a different perspective, from a historical & genetic perspective. I started to look at my son as the combination of genes that he is…genetics that come from my husband’s family, and from my own. Although he was tired & overdue for a nap, I watched Dylan get caught up in his activity and push himself further & further, fighting me, fighting calm, fighting rest. I saw a manic side of him, and I wondered how much is a child’s determination to learn & master, and how much is a family trait, passed on through the generations. There is mental illness in my family tree, and lots of addiction. All of a sudden, I saw myself in a different light. Instead of being someone who has to learn from others how to best nurture my child, what if I am the person who is the most well-equipped to understand all the nuances & fine details of my son’s personality? What if, along with my family’s physical traits, I also received a knowing-ness in my bones of the challenges that those with my genetic heritage face? Instead of doubting myself when I twist-tie my kid into his travel tent-bed (because he doesn’t stay still in a regular bed & will keep going until he crashes), what if I trust that all is as it should be, and that there’s a reason why I came up with that solution to my child’s particular challenge? What if I stopped judging & criticizing myself, and allowed myself to fully step into my mom-ness? Who could I become then, and how much more joy & peace would be present in my daily living? There are many great parents & childcare specialists in the world, and I’m grateful for those who write books to share their techniques with us. However, what came out of my insight today, was not that I should aspire to be more like Dr. Sears or The Baby Whisperer, but rather, that I will best serve my family, and myself, by fully stepping into who I am as a mother. I can choose to embrace my unique familial traits rather than lament them. I can raise my child with the awareness that comes from seeing multiple family members battle the demons of addiction. And I can teach my son to love those parts of himself too, for they can be used to propel him forward in life as much as to hold him back…it’s simply a paradigm shift. In my post I mention twist-tieing my kid into his travel tent–here’s what that’s all about. From the moment he could move, Dylan was on the go. I actually enjoyed when he was sick because it was the only time he would sit still and cuddle. At 18 months old he started climbing out of his crib and to prevent a falling danger, I ordered him the toddler bed attachment. While waiting for that to come in, I had him sleep in the Kidco travel bed/tent that we used when not at home. The toddler bed attachment arrived, and the first night I put him to bed without any walls to hold him in, he got up and left his room no less than 93 times (yes, I sat in the hallway outside of his bedroom, tracked it, and put him back to bed each time without any eye contact/encouragement–I was, after all, following the advice of ‘Super Nanny’ at the time!). Realizing that my sanity was at stake, I said “Screw this!” and put him right back in the tent. We had a peaceful night, he loved the tent, and all was right with my world again…until his 9 month older cousin Aiden taught him how to unzip the tent a month later. I soon had a 19-month old wandering the halls at night, which just would not do. Enter the industrial strength twist ties that came in the packaging of children’s toys. I twist-tied the two zippers together, and try as he might, he couldn’t get out of that tent. I’d spend times with other moms, all of us doing things our own way (and doubting ourselves all the while), and at various points hanging on by a thread due to the exhaustion and overwhelm that can sometimes accompany this parenting gig. Inevitably someone would start to confess to some “unspeakable” act they were committing as a parent: “My 4 year old still uses a pacifier, it’s the only thing that will get him to shut up;” “At least one of my kids still starts out or ends up in our bed every night;” “When my baby won’t stop screaming I just jump in the shower because the water drowns out the noise” (oh wait, that one’s mine too). Then it would be my opportunity to share that hey, who am I to judge, I twist tied my kid into a tent EVERY.SINGLE.NIGHT for 1 1/2 years. It was great when we traveled or stayed over friend’s houses–every room looks the same from inside the tent! I finally had to replace our beloved tent because it had been peed in one too many times, and some of the zippers had started to come away from the screen windows. Dylan felt safe inside that tent, and I felt safe knowing he was locked in. Jerry and I slept better, and that made us better parents. We learned when Dylan entered kindergarten that he has some sensory integration challenges. Kids with sensory issues sometimes benefit from sleeping with weighted blankets. I think the tent was the equivalent of his weighted blanket. These days (he’s 8 1/2) he actually chooses to sleep in a sleeping bag on top of his sheets, in his full sized bed (yes, he graduated!). I bought him a lovely comforter, and he doesn’t use it. I couldn’t have known all of this when I was a fairly new parent and he was a fairly new human, but the greater perspective I have now allows me to know with certainty that the twist-tie tent was exactly the right move for my small human. I’m so glad my instincts won that battle! 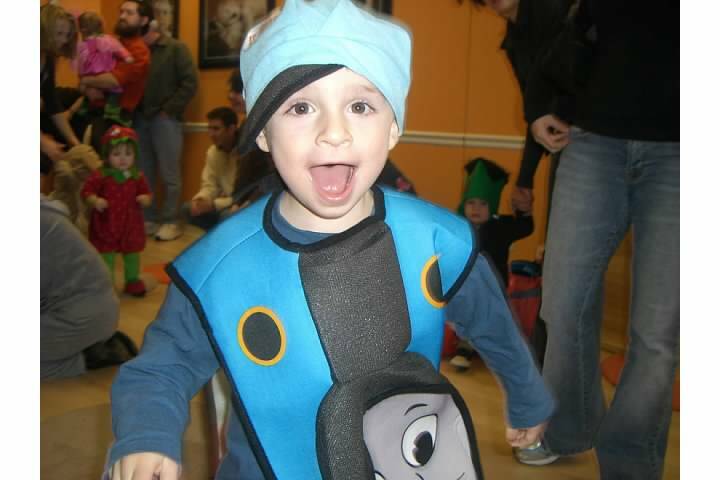 Dylan was an avid train lover for many years. I was more sad when I sold the train set than he was. 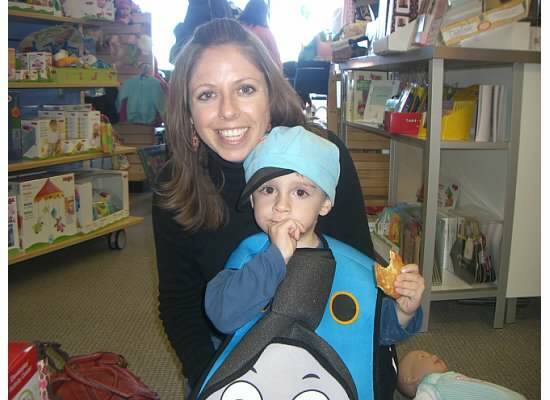 October 2008, me and my boy. He would also sit still to eat. This entry was posted in Daily Life, Motherhood, Reflections, Sufficiency, Throwback Blog Posts and tagged addiction, being enough, Mother's Day, motherhood, paradigm shift, Parenting, sensory integration issues, trust your insticts. Bookmark the permalink. i love you so hard. But you know this because I tell you everyday. Xoxogreat read! Thank you for sharing! I have had a similar journey as a mom. I have found its not only because I share the same DNA, but it’s my human condition. My kids are here to have there own journey. I need to let go of the fear of them repeating mine. I am here to guide them from my experience and learn from them. My mom had to lock my room from the outside when I was a toddler and I had to do the same for my little ones…hmmmm:-) I love what you said about teaching them to love all of them. Self awareness is to support us to greatness not to rip us down or justify irresponsibility. So grateful to be on this journey with you!! !